Rare’s ursine-avian twosome are the subject of this issue of the podcast. Not only do Leon, Ryan, Brian and former Rare employee Darren discuss the original, much-loved Banjo-Kazooie, but also its 2000 sequel Banjo-Tooie as well as a brief word about a brace of GBA spin-offs. As usual we also get to share the experiences and opinions of the Cane and Rinse community too. A gleeful Gargette re-enters the sumptuous and magical fairy tale world created by his beloved Rare. Banjo-Kazooie debuted on N64 in the summer of 1998, before the bear ‘n’ bird duo made their way to Xbox Live Arcade in 2008. 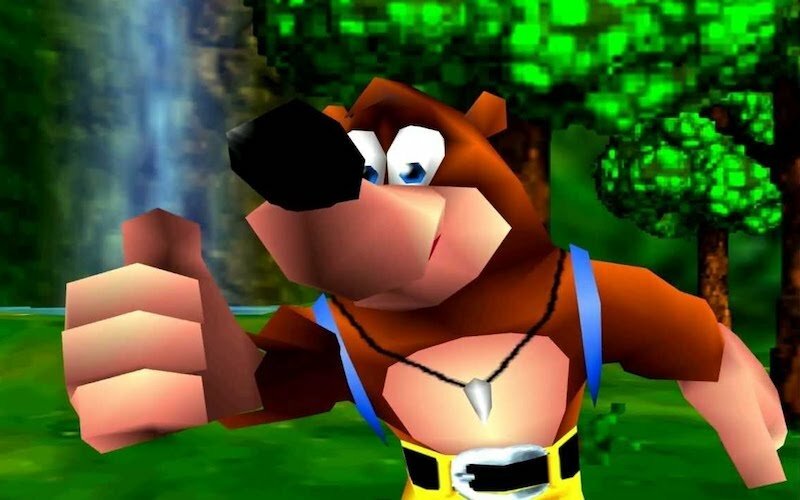 Darren was so excited ahead of the release of Rare Replay that he went back to sprawling Banjo-Kazooie sequel Banjo-Tooie. Next Darren investigates the Game Boy Advance outing that was set between Banjo-Kazooie and Banjo-Tooie but came out three years after the second N64 game in 2003, Banjo-Kazooie: Grunty’s Revenge.